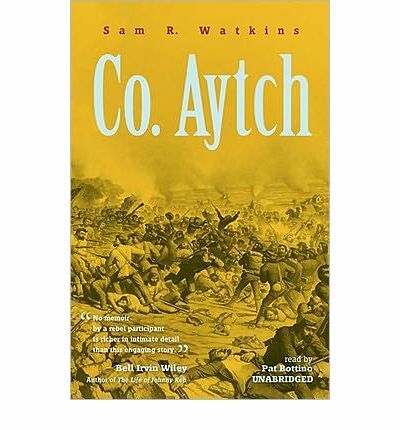 In this classic memoir of the Civil War, Confederate soldier Sam R. Watkins balances the horror of war with an irrepressible sense of humor and sharp eye for the lighter side of battle. Note: the structure of this mp3 audiobook is mp3-cd. This means that it will only run on computers with CD-ROM or DVD drives or CD players that are furnished to play mp3-cds. It can additionally be cloned from a pc or mac to an mp3 player like an ipod sandisk rockbox sony or similar player.